Time to divulge your worldwide foilng holiday destinations. Great advantage is that we don't require the big surf that short board surfers swarm to and destroy with crowds just long bumps that most surfers ignore. So we can start new finds that previously aren't surfers hotspots and enjoy new countries that traditionally haven't been discovered. Like to hear your ideas. There is a surf shop in Bali proffering foil tow ins - I saw them on instagram - trying to find their web site. I did some foil towing behind their boat a few months ago. But my towing was as a beginner, on flat water, to see if I could do it. I'm off to Fiji next week and hooking up with a couple of resort owners and jumping in their boats and going to look for new foil spots. Hopefully come back with some new areas away from the std surfing crew and maybe some cheap package deals. The ultimate surf foiling location would have to be Peru don't you think?? At the points of chicama and pacasmayo. Being able to glide across the unbroken swells would allow you to more consistently take waves aaaaaaaall the waaaaaay down the point. Plus the locals have rubber duckies to zip you back out the back when needed. I am on Namotu Island's instagram and it makes me insane with longing and jealousy. The combination of surfing, kitesurfing, and SUP/surf foiling just seem off the scale. Unfortunately the cost reflects it. 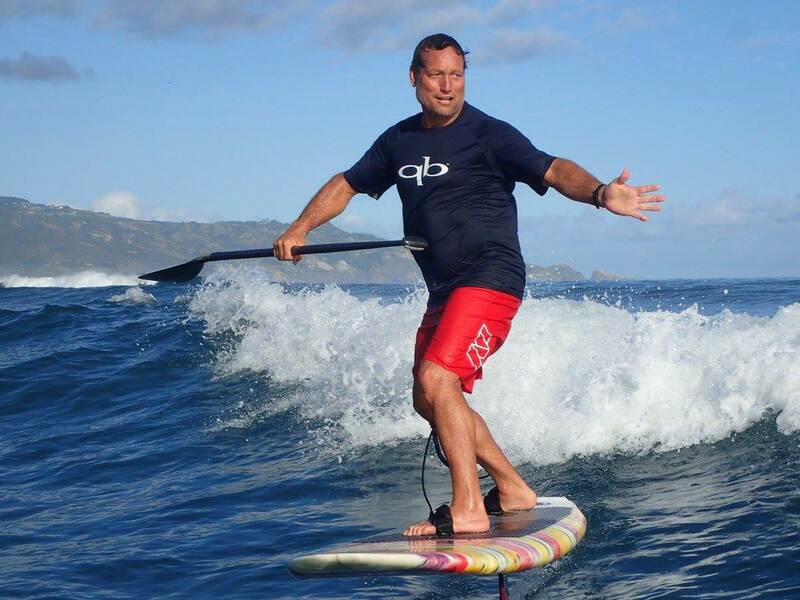 A friend was in Raglan NZ a few years ago, before surf foiling was a popular thing, said he saw a guy getting super long rides sup foiling on overhead waves, riding 100m ahead of the pocket, so no drama with the surfers. Doubt that'll be a popular sup foil destination ... but put it on the list I guess. It's funny to think of travelling with all this gear. Top on the list would be places where you can rent gear affordably, to avoid dragging it all over the place. Maybe will be more doable with my new planned board, if the 6x28 "flying slug" design works out. But I also have a plan/hope/dream to have a single board that will work adequately for surfing, surffoiling, kitesurfing, and kitefoiling. Maybe my 5'8" vanguard...we'll see. Point being, that would sure make travelling a lot easier! Man o man, the world's a big place, the possibilities out there!